The reigning world champion Sheikh Hamdan Bin Mohammed Al Maktoum (pictured top), is among a number of big names in Middle East endurance caught up in the “bogus” rides scandal. The Crown Prince of Dubai is listed as taking part in one of the 13 rides under investigation by integrity services agency, Quest. In addition, hundreds of horses from stables variously owned by Sheikh Hamdan and other members of the ruling families of Dubai and Abu Dhabi are also implicated. THE twenty-fourth Wilga Endurance Ride was held on Saturday March 14. 52 Riders started after the forecast warnings of unfavourable weather, with 25 riders making the decision not to attend. Those who rode had perfect conditions, with rain holding off until after the event. The rain the night before was just enough to settle the dust and provide a beautiful aroma throughout the bush. This is the 7th Mongol Derby, featured in the Guinness Book of Records as the world’s longest and toughest horse race. The 2015 race features 41 riders from 14 countries – including three Canadians – riding 1,000km across Mongolia on semi-wild horses. It’s hard, it’s risky, people get injured. But people still come back for more. The race has seen everyone from MP’s to stunt riders compete – so why do people enter? The 50th running of one of Britain's toughest endurance horse races across Westcountry 'wilds' could also be its last. For half a century, the Golden Horseshoe Ride on Exmoor has tested riders and horses to the limit over a 100-mile course which takes in some of the most remote moorland in southern England. The three-day event, starting on May 17, also features a series of other rides, and attracts more than 200 riders and supporters who pump more than £60,000 into the Exmoor economy. But as organisers gear up for the golden anniversary meeting, Barbara Wigley, chair of the organising committee, said she feared it could be the final furlong for the cherished event. She said: "It is the 50th and possibly the last. It is my last – I have been chairman for the past nine years – and I am stepping down, as are the rest of the committee. "It has taken over my life. We are looking for someone from Endurance GB to take it over, but no one has come forward yet. There needs to be a rescue plan. But if this is going to be the last one, we will go out with a bang." "I have a personal request, just from me, for AERC members. While the UAE is suspended by FEI for various acts of cheating and equine abuse, I ask that AERC members forgo riding in UAE events and refuse to sell their horses to UAE purchasers. I also ask that AERC [Ride Managers] refuse entry to riders from the UAE until the suspension is lifted. I hope AERC will support the FEI suspension until UAE is rehabilitated and may be welcomed back into the sport." The FEI/UAE controversy has been building since 2013, and the multiple scandals, including alleged cheating, horse drugging, 'ringers', and faked races, finally led to the UAE suspension on March 12 2015. It should be noted that at the AERC Conference in Reno, Nevada on March 6 and 7 (before the UAE's suspension), USA International rider Heather Reynolds announced that the USA horses and riders that were invited to compete in a 160-km race in the UAE this spring had already declined to participate, in support of the AERC's stance regarding the FEI/UAE. British journalist Pippa Cuckson who writes for the Horse Canada.com website under The Cuckson Report, and Michael Campbell, President of the American Endurance Ride Conference (AERC) discuss the latest scandals and rule infringements that have recently been exposed and the implications to the sport. You can read Pippa's Blog here and visit the AERC website here. Post your comments and questions on the Facebook Page at Chris Stafford Radio and follow on Twitter @chrisestafford. The following individuals have been appointed to key support personnel positions within the Australian Endurance Team. The appointments are for a four year term which will conclude following the 2018 FEI World Equestrian Games. Equestrian Australia can also confirm National Endurance Selectors appointments, which are also for a four year term. Congratulations to the abovenamed individuals on their appointments. Endurance officials in Britain have voiced support for the FEI in its efforts to sort out the issues in the sport which led to last week’s suspension of the United Arab Emirates (UAE). Their backing came as the world governing body spelt out the practical implications of the suspension. The FEI suspended the UAE over what it said were welfare concerns and non-compliance with its rules and regulations in endurance. The suspension would remain in place until the UAE was able to satisfy the FEI it could meet the standards required. The chairman of Britain’s endurance board, John Hudson, said on Tuesday that the endurance board supported the FEI fully in its determination to ensure endurance was properly regulated and that its code of conduct for the welfare of horses was always respected. “We hope that the necessary changes are made to the FEI’s satisfaction,” Hudson sad. Sabrina Zeender, Secretary General of the FEI has sent a letter to the National Federations clarifying the details of the unprecedented suspension 12 March 2015 of the United Arab Emirates Equestrian Federation from FEI, due to major horse welfare issues and non-compliance with FEI Rules and Regulations in endurance. The letter outlines all aspects of the suspension, including what UAE athletes and officials can and cannot do, whether in endurance or other disciplines; prohibiting the UAE from organizing any International events in any discipline; and prohibiting the UAE flag from being displayed at any venue or event during the suspension. The entire letter can be see here. The Crabbet Organisation celebrated its first Endurance awards for Crabbet or Crabbet related Arabians who had competed with Endurance GB, SERC or the FEI during 2014, or the young stock graded by the BEF at Futurity events. In its first year 30 horses applied for the new awards introduced by new committee member Rachael Claridge who herself has a 100% Crabbet Arabian stallion and competed for Team GBR as a Young and Senior rider with Crabbet related gelding Silver Mistrahl. The formula for the pilot awards encouraged Crabbet Organisation members to submit their horses’ endurance master cards or futurity scorecards at the end of the 2014 season. The highest mileage horses were then recognised in the Novice, Open, Advanced and FEI categories. Special categories were also recognised for Young Riders who had ridden Crabbet or Crabbet related horses during 2014, young stock graded on their potential to become endurance horses and also former committee members were thanked officially for their voluntary contribution. The Compass Inn's stunning Orangery, near Badminton, Gloucestershire was the venue for the awards held on Saturday 28th February. Forty members travelled from across the country to attend the event which was generously supported by The Pure Feed Company, Ariat Europe, Brinicombe Equine, Verm-x, Blue Chip Feed, Horse Scout and West Kington Stud. Endurance GB Board member Jo Claridge, AHS President Anne Brown and The Pure Feed Company founder Lou Talintyre presented the awards (follow link to full results). Chair of the Crabbet Committee Natalie Tindall thanked former committee members Susan Hawes, Lindsay Thain, Lynne Humphreys and Suzanne Cruise for their voluntary contribution to the small but international breed society and presented them with an Arabian horse belt buckle. There’s something just a little mysterious about the FEI Bureau. Its 18 members wield a lot of power in the world of horse sport, but we never get to see the inner workings, with meetings behind closed doors. It certainly would have been illuminating to hear the bureau’s recent discussion on the joys of endurance racing in the United Arab Emirates, before its members agreed unanimously to suspend the UAE Equestrian Federation. The FEI, after endless months of grinding diplomacy during its endurance rule reform process, has shown some welcome mettle. The world governing body said the suspension followed an investigation by the FEI into major horse welfare issues and non-compliance with its rules and regulations in endurance. Followers of endurance don’t need to be reminded about the storm of controversy around the death of Splitters Creek Bundy as a result of two broken legs in a race in Abu Dhabi late in January, or the big questions that now swirl around a dozen races in the UAE after duplicated results were revealed by British equestrian writer Pippa Cuckson. Showjumper Abdulla Al Marri has described the decision of the International Equestrian Federation (FEI) to suspend the entire Emirates Equestrian Federation (EEF) over horse welfare and rule infringements in endurance events as “ridiculous” and a “slap in the face” to those competing in other disciplines. The FEI announced last Thursday their decision in an official statement posted on their website that read: “The FEI Bureau has suspended the National Federation of the United Arab Emirates for an indeterminate period following an investigation by the FEI into major horse welfare issues and non-compliance with FEI Rules and Regulations in the discipline of Endurance. The suspension entails that the UAE will not be allowed to host any international equestrian meets. All UAE endurance riders are banned from international events, apart from national competitions, while Emirati riders in other disciplines may compete internationally but only under the neutral FEI flag. Al Marri, who has represented the UAE in showjumping in countless international shows including last year’s Asian Games, finds the decision shocking and unfair to the jumping community. “We don’t follow that sport (endurance) as much as ours to be honest. But I don’t think I’ve ever heard of anything like this before, banning an entire federation,” Al Marri told Sport360°. “It’s something we (showjumpers) had nothing to do with. For us, it’s just a shock. Why can’t I ride under my country’s flag? They should punish the person responsible. If a showjumper is accused of doping a horse, the rider is involved in it then he or she is punished. Why is that not the case this time? While many showjumpers benefit from competing in a host of international shows held in the UAE as part of the Arab League, Al Marri says what hurts the most is not how this affects his calendar, but the fact that he can’t represent the UAE internationally. “We do this for our country, and the fact that we can’t represent our own country, that’s the most painful thing. Being patriotic is very important to us, especially where we’re from, we’re very proud of where we come from. De Vos admits the decision was drastic but that the world governing body had no choice. “The decision to suspend a National Federation is not something that is taken lightly and we only should do this if no other remedy can be found,” De Vos said. No one from the EEF was available for comment, but they do have 30 days to appeal the decision. The Swiss Equestrian Federation FSSE, which has committed itself for over two years, so that competing in endurance events all over the world are in compliance with not only the welfare of the horse but also sporting fairness, has taken note with satisfaction, of the decision made by the Bureau of the International Equestrian Federation FEI to suspend the National Federation of the United Arab Emirates UAE for an indeterminate period, following serious cases of horse abuse and non-compliance with FEI rules and regulations within this discipline (press release of the FEI). Having taken this decision, the Bureau of the FEI and its new President demonstrate courage and send a strong message in favor of the welfare of horses to all member federations. The FSSE gives its full support in this matter. In light of this suspension, the FSSE has decided to further reinforce the measures it announced last February 24th (press release of the Swiss Equestrian Federation) by prohibiting its riders as well as its endurance officials to participate in any endurance competition in the UAE for as long as this federation is suspended by the FEI. Furthermore, it reiterates its strong reservations about the holding of the World Endurance Championship planned in Dubai in 2016. The FSSE will pay close attention to the developments of this current situation before considering whether to participate in the championships or not. The suspension of the United Arab Emirates (UAE) from the FEI will hopefully end a dark period in international endurance, World Horse Welfare says. The British-based international charity said it welcomed the suspension of the UAE following a catalogue of significant horse welfare issues and non-compliance with FEI rules and regulations in endurance. The charity, which is an independent welfare adviser to the FEI, said it was ready and willing to help the UAE Equestrian Federation implement the changes necessary to bring it back into the international fold. “In many ways this is a sad day,” World Horse Welfare chief executive Roly Owers said of the suspension. “However, the FEI’s drastic move to suspend the UAE federation is a reflection of the seriousness of the situation within endurance. “We hope that this action will be the end of a dark period in international endurance and demonstrate to all that the FEI Welfare Code of Conduct must be at the heart of international equestrian sport. In the wake of unprecedented scandal and corruption in the sport of Endurance Riding coming from the United Arab Emirates, the American Endurance Ride Conference (AERC) has formally requested that the Fédération Equestre Internationale (FEI) remove the 2016 World Endurance Championship from Dubai to another venue or cancel the event altogether. Reports this week indicate that the Emirates Equestrian Federation falsified the results of at least 12 endurance rides in reports to the FEI in an attempt to fraudulently qualify inadequately prepared horses and riders for international competition. This action puts horses in peril by making it appear that they have been properly trained and conditioned for long distance competition when that may not be the case. Horses that are not properly conditioned and qualified are at risk for fatal injury such as that experienced by Splitters Creek Bundy, a horse who was photographed at the January 2015 Al Reef Cup ride in Abu Dhabi with both front legs fractured. Last year, the AERC Board of Directors unanimously passed a motion expressing its outrage at these violations. AERC vowed to explore other options for international competition unless measurable progress was shown by FEI in curbing these offenses. AERC applauds the action of FEI in removing two UAE rides from their calendar of competition for the remainder of the 2015 season and suspending UAE endurance competition in FEI events. AERC also commends FEI for retaining Lord Stevens to investigate the latest travesty. 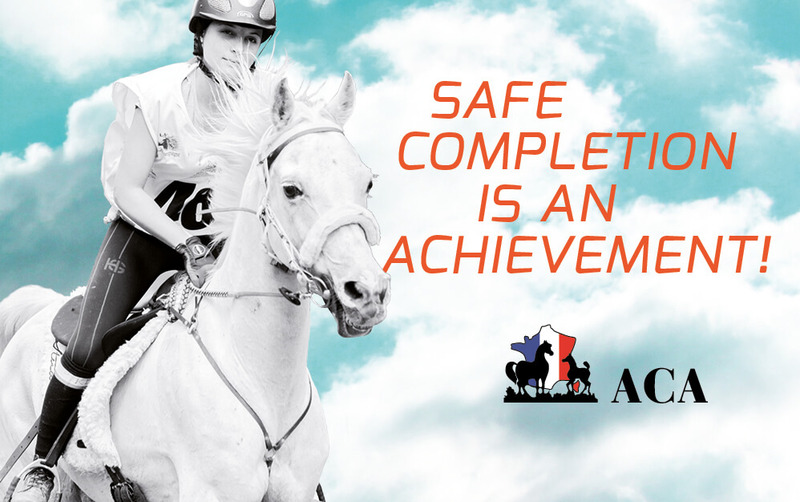 However, the AERC Board of Directors does not believe that these sanctions go far enough in protecting horses and the sport of Endurance Riding. The AERC Board unanimously voted last week to request that FEI take the further step of canceling the 2016 World Endurance Championship in Dubai, reopening bids for the venue and denying the UAE the opportunity to bid on the venue. Denmark and Switzerland have already indicated that they would not send teams to compete in Dubai. Germany is likely to follow suit. AERC invites other like-minded countries and equine disciplines as well as the United States Equestrian Federation (USEF) to join us in repudiating the UAE distortion of Endurance Riding. We especially look to USEF for strong leadership in supporting fairness and safety in Endurance Riding. 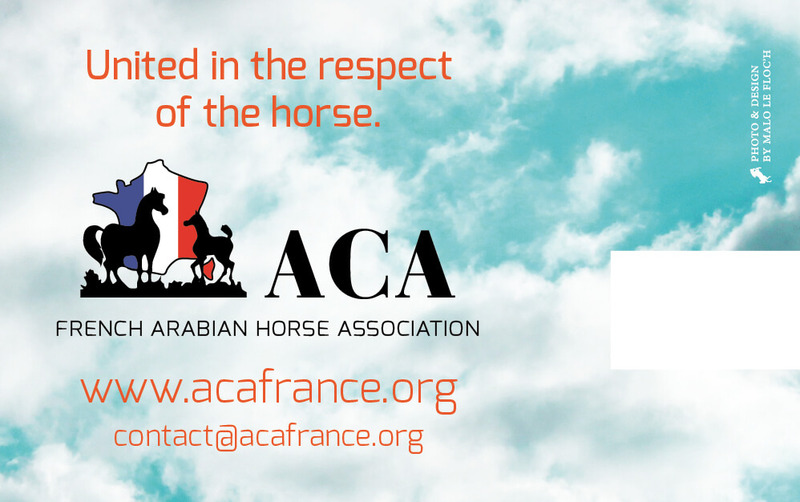 Since its inception in 1972, AERC has supported equine welfare and longevity as well as fair play for all competitors. AERC stands for clean endurance. More information on the American Endurance Ride Conference is available by visiting www.aerc.org or by calling the AERC office at 823-2260. By request, the office will send out a free information packet to prospective members. Lexington, Ky. - In an unprecedented move, the FEI has suspended the national federation of the United Arab Emirates (UAE) following a thorough investigation into major horse welfare issues and rule non-compliance. UAE has been suspended for an "indeterminate period" from attending FEI meetings, organizing international events, and participating in international events. However, UAE athletes - in disciplines other than endurance - competing in international competitions outside of the UAE may participate under the FEI flag. This decision to suspend the UAE was made after extensive efforts to curb catastrophic horse injuries and rule non-compliance failed. The United States Equestrian Federation (USEF) has and will continue to support fully the actions of the FEI and applauds their positive and aggressive action. As President Ingmar De Vos states, "Sadly, this is the only option left...Where horse welfare is concerned, the FEI has to show leadership and solve problems in a structural way without making any concessions." "Having spent many years addressing this issue within the FEI Bureau, the USEF is proud to stand with the international equestrian community in condemnation of horse abuse," stated Chris Welton, USEF CEO. The pistols finally came out of their holsters today as the FEI moved to head off ongoing endurance controversies. The world governing body announced it had suspended the national federation of the United Arab Emirates (UAE), citing what it called major horse welfare issues and non-compliance with the rules of endurance. The FEI Bureau has suspended the National Federation of the United Arab Emirates (UAE) for an indeterminate period following an investigation by the FEI into major horse welfare issues and non-compliance with FEI Rules and Regulations in the discipline of Endurance. The Bureau, chaired by FEI President Ingmar De Vos, was unanimous in its decision to suspend the UAE National Federation. Under the terms of the suspension, which has been imposed immediately, the UAE National Federation may not attend or be represented at any session or meeting of any body of the FEI, may not organise any international events, and its members cannot participate in any international events. However, the Bureau has ruled that UAE athletes from disciplines other than Endurance may compete under the FEI flag in international competitions organised outside the UAE. The Bureau has clearly outlined to the UAE Federation that any potential reinstatement to FEI membership is dependent on the UAE Federation signing an agreement with the FEI under which the UAE Federation pledges to take such action as the FEI Bureau deems necessary to assure the FEI and all stakeholders that the UAE Federation is protecting the welfare of the horse and complying fully with the FEI Rules and Regulations. "The decision to suspend a National Federation is not something that is taken lightly and we only should do this if no other remedy can be found,” the FEI President said. “Sadly this was the only option left, but we have to take our responsibility and must never be afraid of tackling major issues head-on. Where horse welfare is concerned the FEI has to show leadership and solve problems in a structural way without making any concessions. As an interim emergency measure to protect horse welfare and preserve the integrity of FEI rules and regulations at FEI events while the FEI Bureau was considering the Executive Board’s recommendations for further action, the Secretary General Sabrina Zeender removed the two remaining Endurance events in the UAE from the FEI calendar two weeks ago, a move that garnered widespread support from National Federations and welfare groups. The UAE National Federation has been notified of the suspension by the FEI Secretary General today, 12 March 2015. The UAE Federation has 30 days to appeal the suspension to the FEI Tribunal. Separately, the FEI has requested the Equestrian Community Integrity Unit to conduct a full investigation into allegations of fake events and the duplication of results at FEI Endurance events in the UAE. There has been a disturbance in the Force – an anomaly so extraordinary that the endurance community is still trying to comprehend exactly what it could mean for the sport. Social media has been abuzz since British equestrian journalist Pippa Cuckson unearthed what would seem to be an impossible coincidence in the results of two races in the United Arab Emirates (UAE). Cuckson, in her March 6 piece published by the Daily Telegraph, raised questions about the results officially posted on the FEI website in respect of the two races, both of which provided qualifiers for the rich President’s Cup, run over 160km. One was a 120km race on January 21 in Dubai; the second an 80km event on December 23 in Abu Dhabi. Cuckson noted that finishing rates for the fixtures were much higher than the local average. But, most controversially, she identified some quite remarkable similarities between finishing times and loop times with previous races. In fact, the results logged on the FEI website for the leading 47 horses in the December 23 race are identical to those of the 10th to 56th-placed horses from a race at Bou Thib on November 21-22. The global body governing equestrian sport has ordered an independent investigation after Telegraph Sport uncovered 12 separate allegedly 'bogus' UAE-hosted endurance races. The International Equestrian Federation (FEI) asked Quest, the integrity services agency run by former Met police chief Lord Stevens, to examine evidence compiled by the Telegraph that none of the 12 races were ever run, even though detailed results data from them appears on the FEI's official website. As the national governing body for equestrian sport and recreation, horse welfare is paramount to Equine Canada (EC). Therefore, EC strongly supports the recent actions taken by the FEI to reform the sport of endurance in Fédération Equestre Internationale (FEI) Region Group VII. EC also fully supports the FEI in its decision to cancel the remaining international endurance events scheduled to take place in the United Arab Emirates (UAE) in March 2015. EC feels that these emergency measures implemented by the FEI are necessary to protect horse welfare, and uphold the integrity of the rules governing FEI competitions. Have you been dreaming of riding Tevis? Then enter the Dreaming of Tevis Essay Contest and you could find yourself riding the 2015 Tevis Cup! One lucky young rider will receive a full Tevis experience including airfaire*, entry and use of an experienced Tevis horse with full crew for the 2015 Tevis Cup. 3. Why I want to ride the Tevis Cup. Contest is open to foreign and US young riders 18-22 years of age. Entry form and essay are due before April 29 2015. The Cairngorm 100 is a 100 miles in 24 hours horse riding endurance challenge with some basic similarities to the Tevis Cup which will be held on July 11-12, 2015. Horse/rider combinations will start in the early hours of Saturday morning and follow a challenging route through the foothills of the Cairngorm mountain range. The course will consist of clearly marked well-established tracks and paths with some strenuous climbing in some spectacular terrain. The route takes riders into open, and at times hostile, country. Crewing and assistance will be in place as well as vets, farriers and mountain rescue. The welfare of the horse will be paramount. The successful finishers of this unique challenge will each be presented with a Belt Buckle. These have been specially made and engraved, and are not available to purchase, so anyone seen wearing one will have successfully ridden the Cairngorm 100 ride! In addition to the 100 mile ride we will also be having a 50 mile ride, which has the same finish venue at Glen Clova hotel. There are also elevator options at 50 miles and 75 miles. 'The Glory is a born winner' says the reviewer and broadcaster, Amanda Craig. Lauren St John is the bestselling author of The One Dollar Horse series, as well as The White Giraffe novels and the Laura Marlin mysteries, for which she won the prestigious Blue Peter Book Award. She has now turned her attention to endurance riding, one of the fastest growing sports in the world, and has written a sensational, stand-alone equestrian thriller called The Glory about a gruelling 1,200 mile horse race across the American West. Al Shaqab team’s Faleh Nasser Saleh Bughenaim on Halte A Tout, a 12-year-old chestnut gelding, won the CEI** Al Shaqab CHI International Ride, a 120-km endurance ride, held in five stages at the Mesaieed Endurance Village yesterday. French legend Philippe Tomas leads a field of 58 in the 120km Endurance Championship at the CHI AL SHAQAB 2015 today. The only European contestant in the championship is a gold medal European team member and silver medallist at the 2012 World championship. Riders from 10 countries will set off at Mesaieed. With a spectacular mass start at 5:00 in the morning they will set out for the Euros 200,000 prize money championship. The first horse is expected at the finish line roughly six hours later. One the most prominent athletes in the event will be the Frenchman Tomas, who has a reputation as a trainer and takes care of Al Shaqab horses when they are based in France. The world’s No.2 from Toulouse will ride Perlando HLM from Al Shaqab. From his farm in Toulouse, Tomas runs a whole enterprise focused on long distance riding. For the European season, from March to October, he hosts around 100 horses from Al Shaqab stables, either for competition or breeding. The sport horses and their grooms go out for competition almost every weekend, either on 80 or 120 kilometre races, or do shorter stints, 40 or 60 kilometre for training towards the season in Qatar that opens in October again and lasts for the winter. That way Tomas tours with a group of up to 15 horses every weekend, either riding one of his own horses or in company of the horses from Qatar. The Frenchman’s calendar has about 40 races per year. Abu Dhabi: Khalifa Ali Khalfan Al Jahouri onboard the eight-year-old Baraka Farid, representing Wathba Stables, landed the HH Shaikh Mansour Bin Zayed Al Nahyan Global Arabian Horse Flat Racing Festival‘s Shaikh Zayed Bin Mansour Bin Zayed Al Nahyan Juniors and Youth Endurance Cup, CEN 120km Endurance Ride at the Emirates International Endurance Village in Wathba on Friday. The young rider did everything right to lead in the crucial stages of the gruelling race and land the trophy in great style. The winner covered the distance in 03:20:24 seconds at an average speed of 29.94 kmph.. The crisis in endurance racing took a further twist on Friday night, as questions were raised about whether two races recorded as having taken place in the UAE were actually run. The races both provided qualifications for last month’s 160km President’s Cup, the richest race in the Middle East winter season. The first of the rides in question was a 120km race on January 21 in Dubai, which independent sources in the UAE have alleged did not take place; the second an 80km race on December 23 in Abu Dhabi. My phone has been red hot this past week, with colleagues keen to discuss the politics behind the FEI’s unprecedented cancellation of two UAE CEI’s as the endurance crisis escalates. So it was a relief when one buddy called with this practical query: will disaffiliating these rides affect horse and rider FEI qualifications for anything important? I replied: “It’s funny you should ask.” Because I was just completing enquiries into a 120km CEI qualifier (for last month’s President’s Cup) whose results listings on the FEI database suggest that when you are short of qualifications for something important, one simple solution might be to apply a bit of creativity! Just one European rider will line up in the 120km endurance competition at the CHI Al Shaqab competition this weekend, with nearly 60 riders from nine countries vying for €200,000 in prize money at Mesaid racetrack in Qatar. French national champion Philippe Tomas will ride Perlando HLM from the Al Shaqab stables. Although the horse has spent two months on his farm in Toulouse, coming from Argentina and qualifying in Spain for larger events, it will be the first time Tomas has ridden the horse. Allegations that a qualification race held in Dubai last month (21 January) was bogus has led to questions on how the FEI verifies the authenticity of competition results. Sources in the UAE have told H&H that a 120km CEI listed ride did not take place. It was a late addition to the FEI calendar, and records a completion rate of 91% (41 horses out of 45), which surpasses any ride in Europe during 2014 and is nearly three times the normal completion rate in a Middle East CEI. No overseas riders or officials were listed as participating, despite the large winter presence of visiting riders. No pictures can be traced and it is not mentioned on the UAE federation or Dubai Equestrian Club websites. A FEI spokesman told H&H: “The CEI2* Dubai, which took place on 21 January 2015, was run as a qualifier for the President’s Cup (CEI3* Abu Dhabi, Al Wathba). The event was properly entered in the FEI calendar and, as per FEI requirements, a draft schedule was submitted and approved by the FEI headquarters. The results, officials’ reports, and vet cards were received on time and validated by the FEI headquarters. set of rules in any discipline cannot be judged on the basis of a single event. The 11 venues and 12 dates for the 2015 BEF Futurity evaluation series have been announced. Due to low uptake in recent years, Scotland will no longer host a Futurity show. More than 800 horses are likely to be assessed this year, a major leap up from the first shows in 2005, when 100 horses were forward. The BEF’s head of equine development Jan Rogers said: “We are increasingly finding that breeders, buyers and riders of British-bred horses are finding a Futurity premium is a very useful aid in helping assess these horses. The evaluations are open to horses and ponies from foals to three-year-olds and aim to identify British-bred potential sport horses destined for top level careers in dressage, eventing, showjumping or endurance. It’s billed as the longest and toughest horse race in the world, taking competitors astride semi-wild equines on a 1,000-kilometre trek through the Mongolian grassland while exposed to the elements and unfamiliar terrain. And a local oilman-turned-cattle rancher and former Calgary copy editor are among the 40 competitors saddling up in a bid to win the derby crown this summer. Bruce Chernoff and Liz Brown are taking on the 7th annual Mongol Derby, which recreates Genghis Khan’s ancient horse messenger system, used for rapid intelligence gathering and communication. Dubai: The third edition of the Dubai Desert Triathlon, to be held on March 13, has generated significant excitement within the triathlon and endurance horse riding communities in the UAE and Middle East. The Dubai Sports Council (DSC), in partnership with Meydan, debuted this innovative event — which combines the traditional Emirati heritage sport of endurance horse racing with the triathlon disciplines of running and cycling — in April 2014. “We are very pleased with the response we have had from teams, triathletes and endurance riders so far. This is the third running of the Dubai Desert Triathlon and we see this as the new sport from the Middle East,” said a spokesperson from DSC. My friends gave up playing Monopoly against me many years ago. Apparently, I’m not much fun to play against. It wasn’t about cheating. Apparently, I’m too officious and determined, and revel in the fact I’m slowly grinding my opponents into poverty with my hefty rents and expansive property holdings. It was a case of going directly to the doghouse without passing Go and without collecting $200. The lesson, learned rather belatedly, is that if you don’t play nice, eventually no-one will want to play with you. It seems, after several years of controversy around welfare issues, doping infractions, and what would seem to be a pretty loose interpretation of the rules, the nations at the centre of the endurance controversy in the Middle East might have to learn this lesson, too. The Steam Coast Trail will provide a multi-use coastal path between Minehead and Williton, creating a traffic-free route open to walkers and cyclists between Minehead, Dunster, Carhampton, Blue Anchor, Washford, Watchet and Williton. It will weave walkers, cyclists, runners and wheelchair users through 36km of glorious countryside and in and out of picturesque heritage towns and railway villages. Find out more at: steamcoasttrail.org. There are already five very popular Trails criss-crossing the amazing Exmoor landscape and probably the best known of all is the South West Coast Path. It's the country's longest path and it starts by traversing the rugged coastline of Exmoor. The total length is 630 miles from Minehead to Poole Harbour via Lands' End. The first section across Exmoor is widely acknowledged as one of the highlights and this can usually be completed in three days from Minehead to Combe Martin. For those who like to link some culture to their outdoor activities, The Coleridge Way is the perfect walk for fans of the Romantic Poets. At 51 miles this is a great introduction to long distance walking and links the Quantock Hills with Exmoor National Park charting the paths that the likes of Samuel Taylor Coleridge, Wordsworth, Shelley and Byron followed while writing some of their most influential works. The original route opened in 2007 running a total of 36 miles from Nether Stowey to Porlock. In 2014 an extension was added to make a walk 51miles in total length running between Nether Stowey and Lynmouth.